Our NHS turned 65 years old on 5th July 2013 and yet far from being pensioned off it is working harder and achieving more for us than ever. Despite the scare stories and the attempts to run down what our health service does by the Tories who seem determined to break it up the those who work in and those who use the NHS know what a great service it provides. 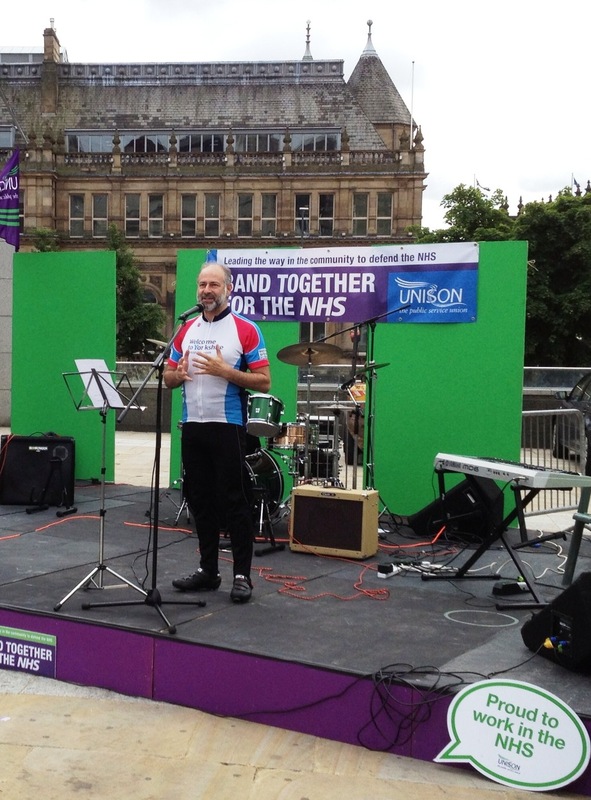 On the Saturday before the official birthday of the NHS Unison organised a celebration rally in Millennium Square and amongst those attending to show their support was Leeds North East MP Fabian Hamilton. This entry was posted in National Issues 2013 and tagged fabian hamilton, health service, labour government, nhs on July 9, 2013 by imstillred. Tory top down re-organisation of the NHS delays development of new Medical Centre for Alwoodley! Make sure you get out and vote Labour!